My brain thinks better in circles than straight lines. When I started having cognitive difficulties from the Multiple Sclerosis, one of the first things to become unpredictable was linear tracking. So I am lucky that I am also at home thinking in symmetries, correspondences, any pattern other than a straight line. Perhaps I have a medieval soul. In keeping with that sensibility, which extends to all manner of symbolic systems, 28 is a resonant number for me. It’s the number of days in a lunar cycle from new moon to dark—a “month” ( a “moon-th” without the extra “o”). And it takes 28 years for the planet Saturn to travel the wheel of the zodiac. As a Capricorn, I pay special attention to Saturn, since it’s the companion planet for my sun sign. Saturn symbolizes the force that crystallizes our world into form. Its power and wisdom come from the creation of limitations. Perhaps that’s why Saturn’s physical body as a planet magnetizes those ice crystals and rock particles that surround it into such breathtakingly beautiful rings. Despite being born with Sun in Capricorn, I often struggle with settling on the proper forms for organization and expression. When I am stymied, I have learned to wait until something occurs to me more or less organically, or an idea gets a chance to mature, like a fruit, or a child even. And that fits with Saturn wisdom too. When Saturn has traveled the wheel and returns to the place in the zodiac it inhabited at the birth of an individual, it is often a time of growing up for good. Think about what happened in your own life when you were 28 or 29. In my case, I became on expectant mother. And during this time period I also wrote a poem that explored the sense of my place in the generations, juxtaposed with Saturn’s effect both in the sky and my life. I didn’t know then it would become the title poem for my first and only book of poetry so far, The Rings Around Saturn. I certainly haven’t been blogging for 28 years, let alone 28 weeks, but this is my 28th post. So I figured it’s a good a time as any to get organized, Saturn style. Which means I have finally decided on some categories. But I’m not much of an either/or person. In fact, I’m such a “both/and” person that I’ve had a really hard time even conceiving of possibilities for the categories. But like most things we look for, they were right under my nose. Since some of the posts are about types of food, and may include recipes, some of the categories will be types of food: “Greens,” “Brassicas,” ” Root Veggies,” ” Squash,” ” Fruit,” and a “Faux Grains, Grasses and Cereals” category for all those gluten free starches and seeds I like to eat. But some of the posts are not specifically about food nor do they have recipes in them; they concentrate more on the little victories and epiphanies I’ve had about how eating fat free and plant-based has transformed, and continues to transform, the degenerative effects of the multiple sclerosis, the fibromialgia, and in turn, my overall health and my life. And in true Saturn style, the limitations required of me to eat this way, and the responsibility I have taken upon myself to stick with them, have given me a profound new reality. While severely limited from a conventional point of view, these dietary “restrictions” have nevertheless, paradoxically, freed me from many of the limitations of my illnesses. In 2010, after two years of eating fat free and plant-based, I was so amazed by all the things I was noticing that I started trying to write them down. Their personal, subjective nature seemed so “little” in comparison to the ascendancy of “numbers” and “science” our culture believes in that I didn’t think anyone would want to know. But I wanted to know, and to remember. And I wanted my son to be able to know and remember, too, someday, in his own time. And he was the one who told me to write them down. So I started a new folder on my computer. I called it “Little Victories.” These are the moments I notice I’m doing something I couldn’t do at all before I started eating plant-based and fat free, or doing it better, or differently, or more easily. These are profound markers for me, since the medical world believes mulitple sclerosis is irrevocably degenerative, which means you lose function. But I am regaining function, however partial or slow. That right there is a miracle. And also there are what I call the “epiphanies.” The moments since I took up a plant-based lifestyle when I realize something is different, or that some part of me on the inside is healing, something that might not be specifically identified in one particular organ or tissue or function, but is there nonetheless. So “ Little Victories over Multiple Sclerosis” and “Plant–based Lifestyle Epiphanies” will be my two main non-food categories. They often overlap, so you may see some entries in both categories. The last non-food category I have created is “Poetry.” This is simply a category for those who would like to find the times I snuck a poem into one of my posts. I have really enjoyed doing that, and also very much appreciate the positive feedback I have received about it. So I wanted my readers to be able to find these if they wished to. I hope you find these new categories useful, which is another profoundly Capricornian value. When I was a young teenager, I had a beloved art teacher who loved to point out how so many things came to what she called “full circle.” I found observing life through her circular lense to be profoundly accurate and yes, useful. Perhaps my own appreciation of cycles like those of the moon and Saturn was awakened and encouraged in these early conversations. The very last time I talked to her on the phone when she was dying of cancer, she told me that she thought Moscow was a good place for me, and that she was glad I had made a home for myself here. Then she told me something I had not known. That she had come here at a very difficult time in her youth, and been welcomed, accepted. So she had lived here as a very young woman. I don’t know if it was when she was expecting her first child, which she had when she herself was still a teenager. She didn’t elaborate, and I didn’t ask. But I felt blessed that my wandering far north of my home in California had unknowingly brought me “full circle” to a place that had blessed her so she could later bless me in her extraordinary way. And so I begin using these categories with the hope that what I write into them will, in time, weave more lovely “full circles”—ones that continually enlarge and renew themselves through the miraculous wonder of plant-based and vegan eating and all the lovely connections I am so lucky to make with my fellow and sister travelers on the plant-based path. May we all continue to nurture the miracle of the full circle: by seed, sprout, root, leaf, blossom, fruit, plate, spoon, seed. This is the most inspiring and interesting post I have ever read that even approaches the subject or organization! And it is about so much more than categories, to be sure. 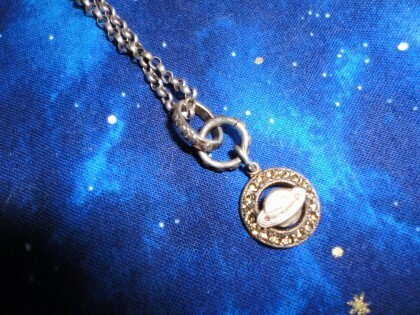 I love the Saturn necklace, and all the information about Saturn, and the story about coming full circle. And knowing how recording the “Little Victories” came to be. Ripples, or butterfly wings,you know? Had you not done that, nor your son encouraged you to do it, I would not have had the benefit of the insights and the beauty you write about here and in the old journal. For myself, I have found that I have “two brains” – the one that is organized and the one that is creative, and while they both have their function and importance, trying to do none whilst in the mode of the other is always a disaster. So I have settled a bit on a way of working through the world that is very like what you describe, with occasional bouts of “full-on left brain” that I am not so enamored by, but I do get some boring and important things done then, so…I can return to the right-brain in a clean house well-stocked with food, lol. And full circle we go!